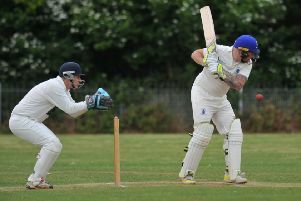 The home side looked in troubled when they trailed by more than 100 runs after the first innings, but Gareth Harte’s excellent batting performance and an inspired bowling effort, led by Rushworth, turned it around in style. Durham celebrate the wicket of Hardus Viljoen. A blistering finale, in yesterday’s morning session, clinched a dramatic 95-run success to lift Durham to fourth place in the Division Two table. Asked about Durham’s second Championship win of the summer, and second after a big deficit, Wearsider Rushworth said: “It’s incredible. You look back and think where we were at the end of day one and we were miles behind. “You don’t have to go too far back to see a result like this with the Leicestershire game (when Durham came from 256 runs behind on first innings to win). “Again, we were nowhere in that game and that showed how much fighting spirit we’ve got in the dressing room. On-loan debutant Matt Salisbury celebrates bowling out Daryn Smit. “For young lads to come in for their first game to be part of something like that can only be a good thing for this club going forward. “It’s an amazing win and I think it shows what it means to play for this club; guys coming in, whether it’s from different parts of the country or local guys, players are coming to play for Durham and are fighting with everything that they’ve got. “They want to win and they want to wear this shirt. It’s a great sign for Durham. “It’s wins from situations like that are amazing to be involved in. “To come back from where we were in the first innings to win by 95 runs, it shows the amazing spirit, fightback and determination, all the cliches you can name. Disappointed Derbyshire skipper Billy Godleman admitted: “It’s a tough one to swallow. 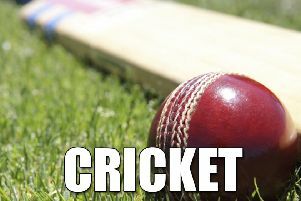 “It just proves that, even if you’re in command of a game of four-day cricket, until you have taken the final wicket, or have scored the final run, you haven’t won the match. “Equally, a strong message moving forward for us is that, when you find yourselves with your backs against the wall, you’re never out of a game of four-day cricket. “To insert them on a lively wicket, it can sometimes provide its own pressures for the bowlers. “As a bowling unit, and as a team, you try to bowl them out in the first session. You can then go searching for wickets and throw up some four balls. “The guys on the first morning, particularly Hardus Viljoen and Duanne Olivier, were fantastic. “Duanne was magnificent throughout the game, and, although he may have leaked the odd boundary at times, he did bowl over 40 overs. “Sometimes, unfortunately, the conditions go against you. “When we came out to bat on Monday night, the floodlights were on and Chris Rushworth is a fine exponent of the new ball under lights on his own patch. Durham must wait until next Wednesday to visit Arundel for their next Championship match against Sussex. The next home match is against Warwickshire, starting on Monday, June 25.